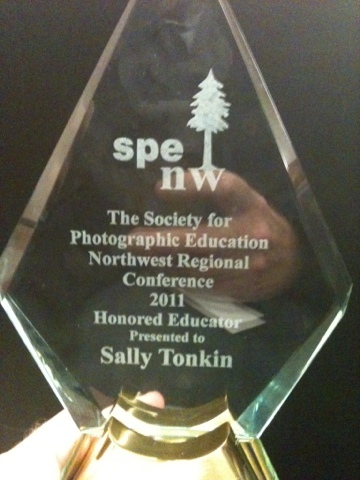 Sally Tonkin tonight at ceremony in Spokane named 2011 Honored Educator by Society for Photographic Education. She gave a very moving speech that honored two great callings, photography and education. I'm proud to say she's excelled at both. One year, a third of Shorewood High School's students signed up to take her class. She's been shown at the Frye, published in books and showcased by the Seattle Times and many others.